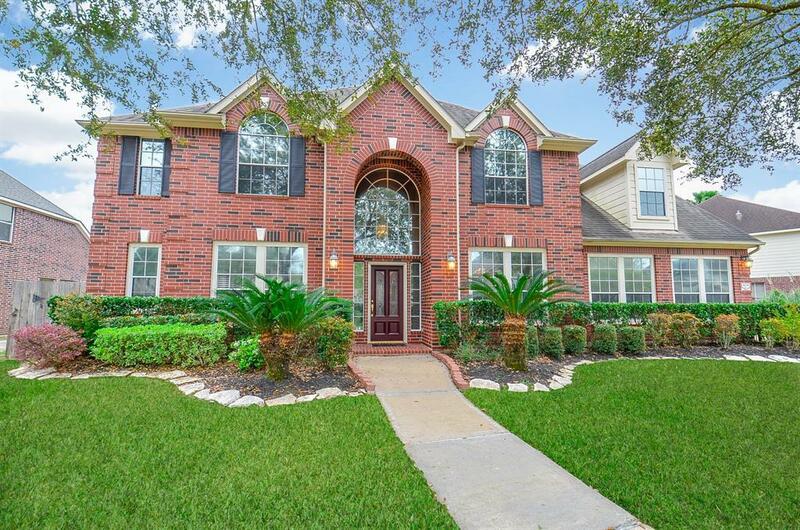 This lovely two story home features Two story entry & Two story family room as well as Custom drapes & Curve staircase; Living room off entry can be used as study/office; Tile floors in entry, hallway, dining, breakfast, family, utility, and bathrooms; Gourmet kitchen with hard surface counters and plenty of cabinets; Large game room and three large secondary bedrooms plus study nook upstairs; Private master has high ceiling and a sitting area, Master bath has TWO WALK IN CLOSETS, dual vanities, whirlpool tub, separate shower; Huge utility room, large breakfast room; HUGE extra room downstairs is using as media room but it can be a large home office fitted with all kinds of equipment and file storage if you need one. 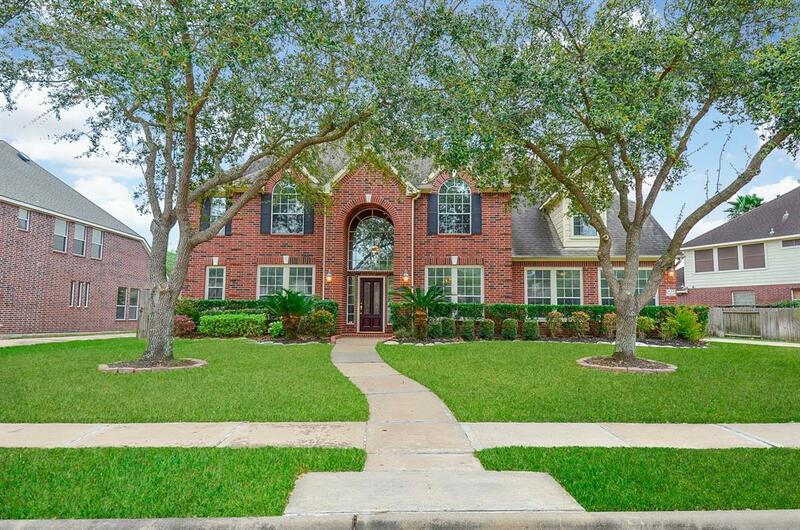 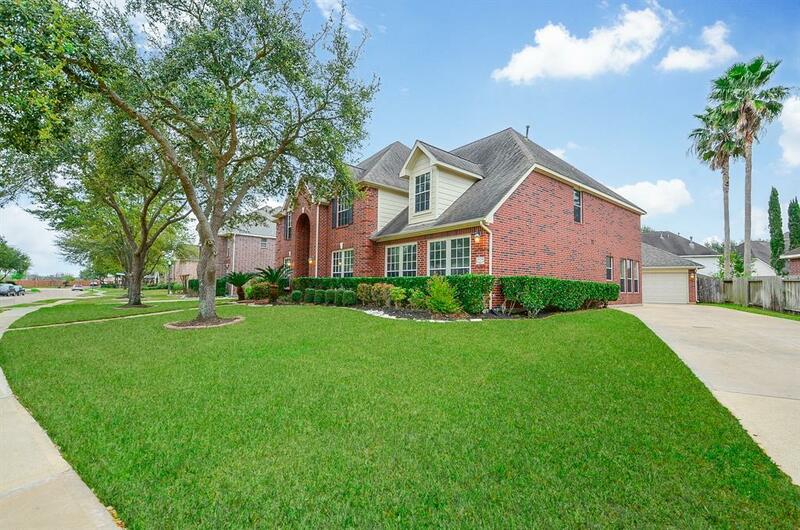 This Home is located in a best combination of SCHOOLS in Fort Bend County, Commonwealth Elementary school, Fort Settlement Middle School and Clements High School. 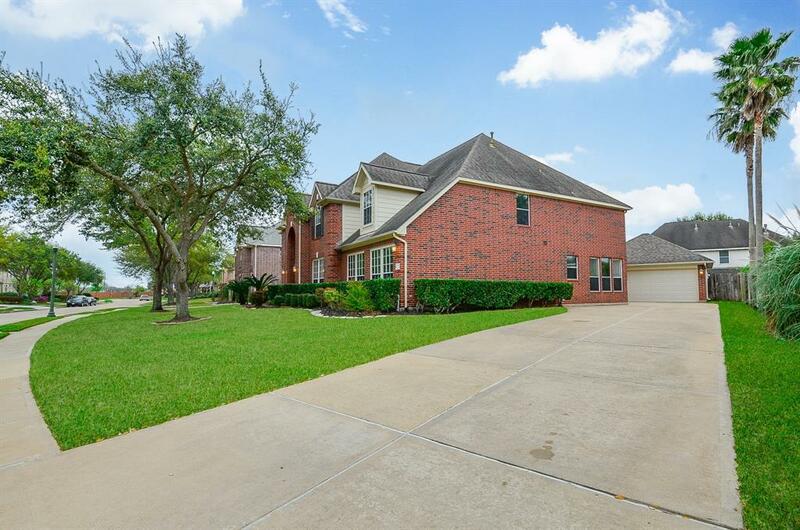 This Family friendly floor plan also gives everyone their own space.